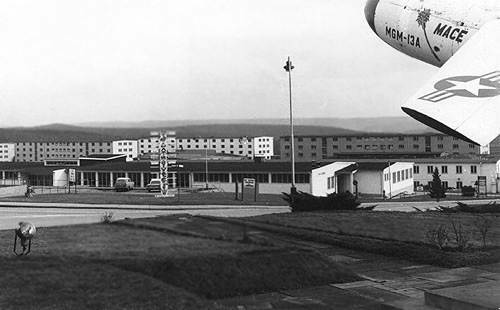 Sembach Base Exchange (BX), Circa 1966. The base symbol at the time was the Mace Missile, to the immediate right of the picture. Original Photo provided by Conrad Lippincott.